Some of the infected trees were 300 hundred years old and magnificent; however, due to disease they had to be removed, for safety and ecological reasons. 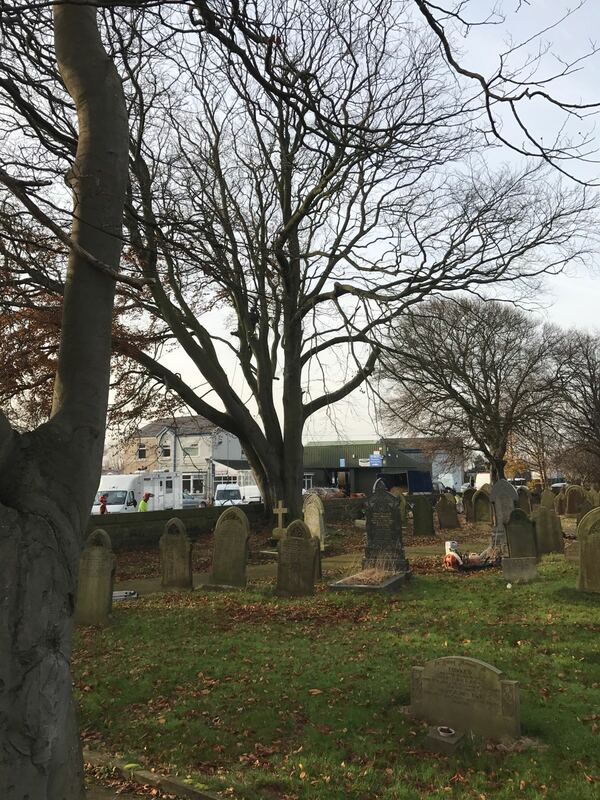 The thing with diseased trees is that the problem isn’t always evident to the untrained eye, in fact there may be no visible evidence at all, so it is always recommended to seek further investigation from specialists. That was the case with this job, on the surface the infecetd trees looked fine and had been leafing as normal; however, they had been infected by Ganoderma sp. Ganoderma sp. is a fungal disease which affects the tree’s root system, which, once compromised, affects the tree’s stability and its ability to stay anchored to the earth, creating hazardous and potentially dangerous situations. Unfortunately, there is no prevention or cure once a tree has been compromised and the only safe thing to do, is to remove it and, by doing so, remove the chance of infecting surrounding trees and the danger of falling and causing damage. 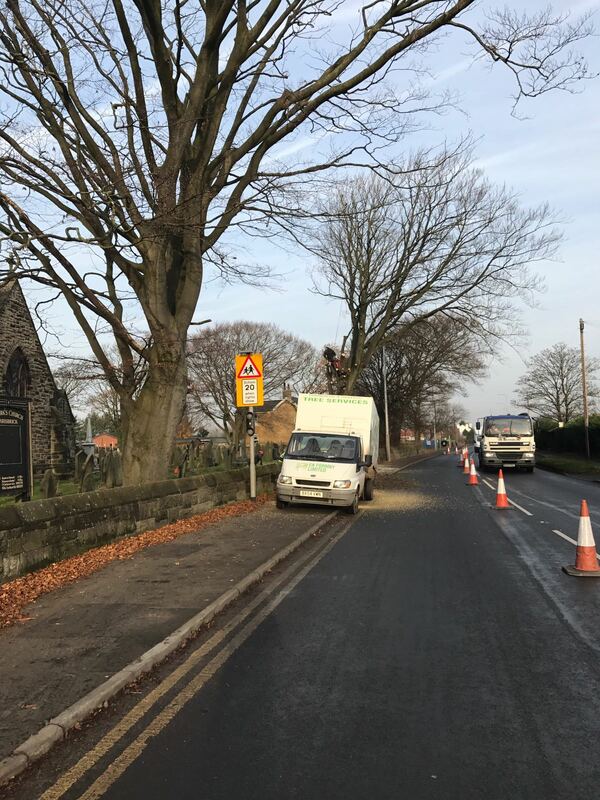 Due to the proximity of these trees to the main A570, Southport Road and the B5243, Jacksmere Lane, also St Marks Primary School and several of other local businesses, the potential for serious injury or accident was a major threat. Working with traffic control measures and under supervision from the local council, we began work on Monday 5th and completed on Friday 9th December. During our time on the job, we met with some hostility from car drivers, unhappy with being held up at the traffic control and several people, who suggested we shouldn’t be cutting down such beautiful trees. 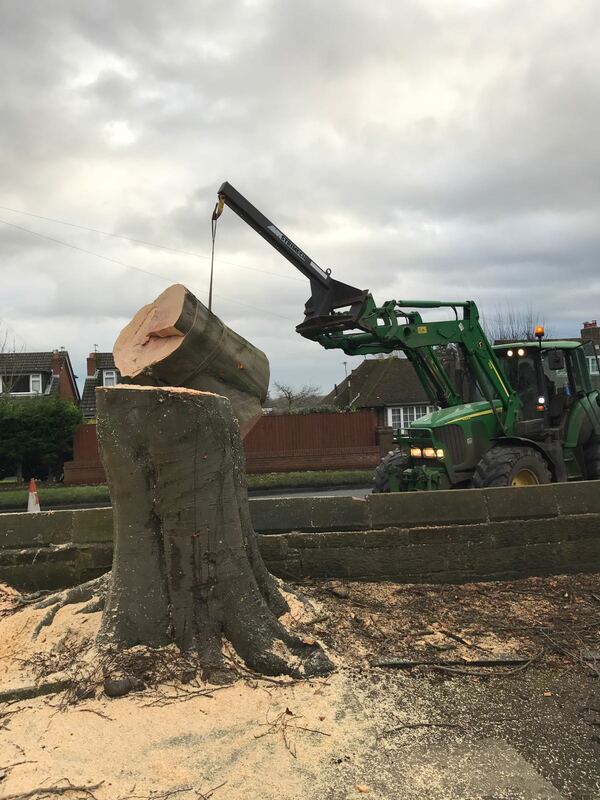 We would like to make clear, we love trees too, we would never cut them down without good reason and, in all situations, the safety of road users and pedestrians is paramount. If left, these infected beech trees would have been a been a ticking bomb and could have fallen into the road, or on a passer-by, causing serious injury, or worse. Trees, especially well established and old specimens, can cause extensive damage to property and their surrounding habitat if not maintained on a regular basis, so please, if you’re concerned about a tree on your own property, or adjoining land, and not sure what to do, especially following storms or high winds when damage may have occurred, get in touch.